If this is your first time joining me here, welcome to the Exemplar Highlights Project! Otherwise, welcome back! Before we get into this Exemplar Wave’s article, I wanted to remind everyone what you can expect from this project, and what my goals for this project are. For more information on how to help your region, or join this project, just keep reading. I’d say skip to the final section, but that would be sad and you’d miss all the fun. So what makes a recognition “good”? Another thing to note is that Wave 9 closes May 3rd . If you haven’t done so already, submit your recognitions now. Well, go read Bryan’s article, then come back and finish this article, then go submit your recognitions! Now that we’ve covered/reviewed the basics, it’s time for some Global Exemplar Highlights! 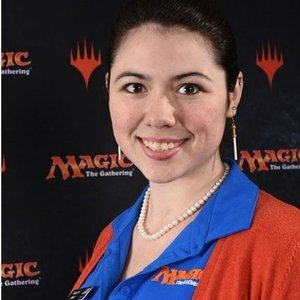 This wave, I’ve decided to focus on highlighting those who help their local MTG Communities. Additionally, I wanted to make sure I found recognitions that could be used to celebrate both the nominee for doing something exemplary, and the writer of that nomination for being able to articulate their good deed. Be Specific: This recognition isn’t just for “helping the community”. The author continues to go on to mention the mentoring sessions and local judge conferences that Michael runs. Make Sure it’s Praiseworthy: It’s very easy (and totally reasonable) to start having tunnel-vision as you more close to achieve a goal of yours. To not only maintain involvement, but increase it shows great community and self awareness. Be Specific: Specific actions, locations, even dates! This nomination has anything and everything you need as a reader to understand what it is Inês did that was so impactful. Make Sure it’s Praiseworthy: For an L1 to be considered a logistical guru is almost praiseworthy in itself, but Nuno makes sure to back his statement up by talking about a specific time when she used that logistical knowledge to impact the community. Matt, you have done so much for the growth of the local community. Prior to making L2, you were running judge breakfast meet ups encouraging the community to talk and to share opinions on issues. You were also running a study group that personally allowed me to make L1 and then L2. You reached L2 and continued to inspire growth in the community. You’ve pushed one of the local store owners to provide growth opportunities for L1s and personally staff the pre-releases in a way that best allows new judges to learn from experienced ones and to give the experienced ones more opportunities to grow. Every community needs a judge that is willing to work for its growth and betterment. You’ve expanded the judge breakfasts to reach towns 2 – 2.5 hours away. I hope you keep inspiring growth and development in the community because you are an essential cog to keeping the community gears turning. Make Sure it’s Praiseworthy: Even as an L1, Matthew was organizing Judge Meetups and running a Study Group for judges, both of which are above and beyond what someone would normally expect of an L1. Then as an L2, it’s easy to focus on PPTQs and self development. While engaging in judge mentorship is considered baseline for an L2, going to bat for your L1s and making sure they have growth opportunities at the local stores is an extra step above the norm. Represent the Judge Community in a Positive Light: Jessica explained not only what Matthew did as an L1 and then L2 but also why she felt those actions were exemplary, and did so without adding unnecessary or distracting details such as which store needed to be pushed before being willing to provide opportunites for L1s. It can be easy to fall into the trap of focusing on what someone else did that was bad, instead of what a nominee did that was exemplary. That amount of professionalism makes both Matt and Jessica stand out as examples for the Judge Community as a whole. Be Specific: While this recognition might leave you wondering, “But Hans?! What ideas did Woosuk share with you!”, sometimes those details need to be left out. Hans still makes sure to fulfill the need to have a specific nomination by giving an example of one of the ideas Woosuk had for this year, which was the Korean Judge Conference that happened last month in Seoul. Make Sure it’s Praiseworthy: Setting up any area conference is a lot of work, but to take an area that’s never had a conference, and laying all the ground work to host one is a feat others can look up to! Frustrated that the Regional Judge Conferences are never nearby? Sad other cities have local judge meet ups and yours doesn’t? Don’t just complain, talk to your RC and find out how to make it happen, just like Woosuk did! Be Relevant: You’ll notice, although this nomination references Raphaël’s home, this isn’t a recognition for simply having some friends over. The recognition is directly related to the organization of meetups geared towards judges and the teaching, learning, and community growth that happens at those meetups. Represent the Judge Community in a Positive Light: As Bryan mentions in his article, nominations are public and representative of the Judge Program as a Group. While there is nothing wrong with writing a nomination in your native language, by taking the time and care to write a detailed recognition for Raphaël in English he expanded the number of Judges in the program who could look at this nomination and decide to emulate his behavior. “The puzzle you included in the last Exemplar mailing was an awesome initiative. First of all, suddenly people were excited to share and look at each other’s clues, shifting the focus away from the material rewards. Foils are nice, but not as exciting, especially for those not involved who instead could all join the treasure hunt. Be Specific: Not only does William say what it was that Johanna did for last wave’s Exemplar mailings, he discussed both how it made judges feel, and what effects the Puzzle had on the Region. Be Relevant: Johanna’s puzzle encouraged the judges under her leadership to interact with one another and build a community regardless of geographic distance. In addition to encouraging judges to talk with one another where they may not have before, Johanna’s actions directly led to a boosted membership of the Nordic Facebook Group, centralizing and connecting the region even further. Be Specific: Angela goes deeper than just “contributing to the community”, by then listing examples of how he’s made a difference in the US-SouthWest region. Be Relevant: Is this nomination relevant to the Judge Program? Of Course! A common pitfall in these types of nominations would be focusing on getting out and exploring a new area/meeting new people. However, if that were the extent of the nomination, the only connection it would have to the Judge Program would be that the recipient was a judge. Angela talks about how Marc approached her to discuss helping at future judge conference, jumped right into HJing PPTQs, and really highlighted Marc’s desire to contribute to his new local Judge Community. Ask your local blog/poster if they need any additional help! (Daily posts can be very hard to keep up on and having another person to split responsibility means they won’t have to worry about finding a way to post while they are flying to a foreign Grand Prix or chaperoning their son’s school dance. Don’t have a local project? START ONE! Many regions use FB, Slack, or have a community blog. Not sure where to start? Feel free to contact me for help. Below you can find a list of the current regional highlights projects we are aware of. Did we miss yours? Let us know so we can add you to our records! Spoiler Alert! I do not speak every language on Earth. Since my goal is to highlight judges from around the world, I could certainly use some help! This might mean picking out or helping to translate recognitions that are not in English, contacting a nominating judge for additional information about a particularly interesting or positive nomination, or simply letting me bounce ideas off you from time to time!